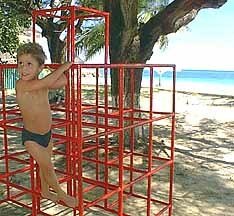 Down by the swimming beach . 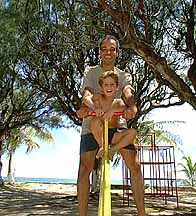 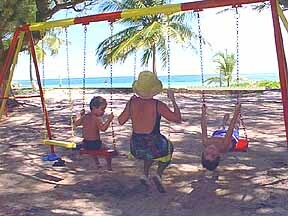 . . swings, see-saws, and climbing frame under the shade of the casurina trees with the turquoise Caribbean Sea in view.